The Congress that created Title I promised the American public that, in exchange for giving up control over their schools and submitting to increased levels of taxation, federally-empowered experts would create an educational utopia. However, rather than ushering in a new golden age of education, increased federal involvement in education has, not coincidently, coincided with a decline in American public education. In 1963, when federal spending on education was less than nine hundred thousand dollars, the average Scholastic Achievement Test (SAT) score was approximately 980. Thirty years later, when federal education spending ballooned to 19 billion dollars, the average SAT score had fallen to 902. Furthermore, according to the National Assessment of Educational Progress (NAEP) 1992 Survey, only 37% of Americas 12th graders were actually able to read at a 12th grade level! Supporters of a constitutional education policy should be heartened that Congress has finally recognized that simply throwing federal taxpayer money at local schools will not improve education. However, too many in Congress continue to cling to the belief that the right federal program conceived by enlightened members and staffers will lead to educational nirvana. In fact, a cursory review of this legislation reveals at least five new mandates imposed on the states by this bill; this bill also increases federal expenditures by $27.7 billion over the next five years — yet the drafters of this legislation somehow manage to claim with a straight face that this bill promotes local control! One mandate requires states to give priority to K–6 education programs in allocating their Title I dollars. At first glance this may seem reasonable, however, many school districts may need to devote an equal, or greater, amount of resources to high school education. In fact, the principal of a rural school in my district has expressed concern that they may have to stop offering programs that use Title I funds if this provision becomes law! What makes DC-based politicians and bureaucrats better judges of the needs of this small East Texas school district than that schools principal? Another mandate requires teacher aides to be fully qualified if the aides are to be involved in instructing students. Again, while this may appear to be simply a matter of following sound practice, the cost of hiring qualified teaching assistants will add a great burden to many small and rural school districts. Many of these districts may have to go without teachers aides, placing another burden on our already overworked public school teachers. Some may claim that this bill does not contain mandates as no state must accept federal funds. However, since obeying federal educrats is the only way states and localities can retrieve any of the education funds unjustly taken from their citizens by oppressive taxation, it is the rare state that will not submit to federal specifications. One of the mantras of those who promote marginal reforms of federal education programs is the need to hold schools accountable for their use of federal funds. This is the justification for requiring Title I schools to produce report cards listing various indicators of school performance. Of course, no one would argue against holding schools should be accountable, but accountable to whom? The Federal Government? Simply requiring schools to provide information about the schools, without giving parents the opportunity to directly control their childs education does not hold schools accountable to parents. As long as education dollars remain in the hands of bureaucrats not parents, schools will remain accountable to bureaucrats instead of parents. Furthermore, maximum decentralization is the key to increasing education quality. This is because decentralized systems are controlled by those who know the unique needs of an individual child, whereas centralized systems are controlled by bureaucrats who impose a one-size fits all model. The model favored by bureaucrats can never meet the special needs of individual children in the local community because the bureaucrats have no way of knowing those particular needs. Small wonder that students in states with decentralized education score 10 percentage points higher on the NAEP tests in math and reading than students in states with centralized education. Fortunately there is an alternative educational policy to the one before us today that respects the Constitution and improves education by restoring true accountability to Americas education system. Returning real control to the American people by returning direct control of the education dollars to Americas parents and concerned citizens is the only proper solution. This is precisely why I have introduced the Family Education Freedom Act (HR 935). The Family Education Freedom Act provides parents with a $3,000 per child tax credit for the K–12 education expenses. I have also introduced the Education Tax Credit Act (HR 936), which provides a $3,000 tax credit for cash contributions to scholarships as well as any cash and in-kind contribution to public, private, or religious schools. By placing control of education funding directly into the hands of parents and concerned citizens, my bills restore true accountability to education. When parents control education funding, schools must respond to the parents desire for a quality education, otherwise the parent will seek other educational options for their child. Instead of fighting over what type of federal intervention is best for education, Congress should honor their constitutional oath and give complete control over Americas educational system to the states and people. Therefore, Congress should reject this legislation and instead work to restore true accountability to Americas parents by defunding the education bureaucracy and returning control of the education dollar to Americas parents. 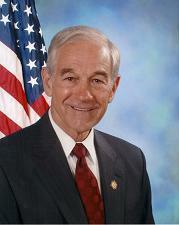 1999 Ron Paul 108:1 The tenth amendment probably should be capitalized: The Tenth Amendment. 1999 Ron Paul 108:2 federally-empowered probably should be unhyphenated: federally empowered. 1999 Ron Paul 108:4 K–6 probably should have a hyphen and not a dash: K-6. 1999 Ron Paul 108:7 Of course, no one would argue against holding schools should be accountable probably should be Of course, no one would argue against holding schools accountable. 1999 Ron Paul 108:8 “one-size fits all” probably should be either the unhyphenated “one size fits all” or one-size-fits-all without quotation marks.